The 107 million renewable energy credits, also known as RECs, purchased by UNT originate from wind farms in West Texas, Briggle said. 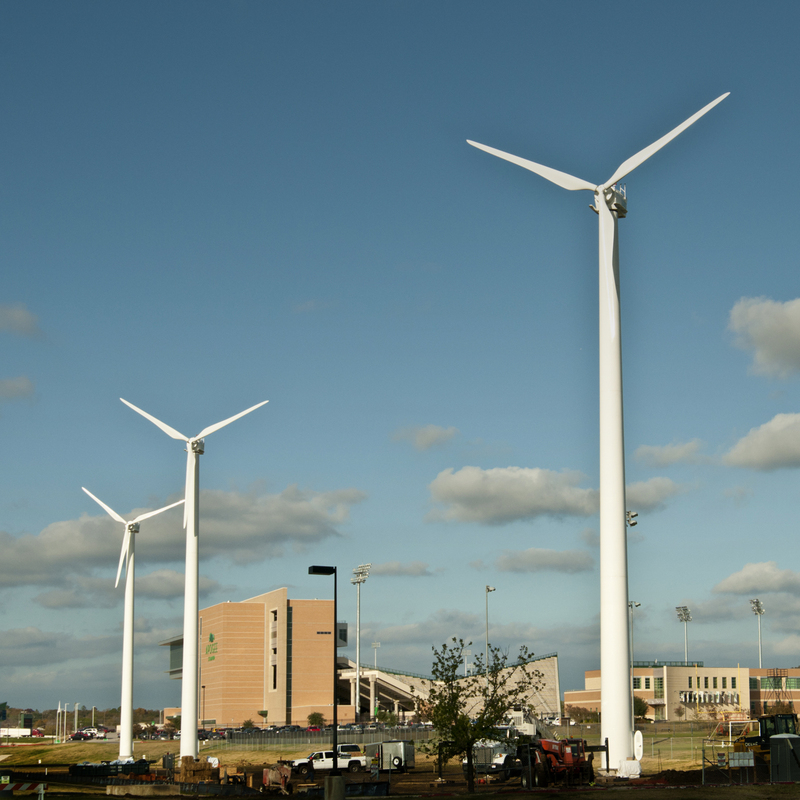 UNT is part of the EPA’s Green Power Partnership, a leaderboard of institutions committed to renewable energy use. UNT ranks No. 1 of universities in Texas, No. 9 of universities nationally and No. 74 of all public or private institutions. The EPA estimates that UNT Goes GreenSense, UNT’s renewable energy program, prevents almost 80,000 metric tons of carbon dioxide from entering the atmosphere annually. The GreenSense project started as a one-year trial period and continues with student, faculty and administrative support. Other sustainability projects on campus include the Community Garden where students, faculty and staff can organically grow food, and the Bee Campus USA program, which provides habitats specifically for plant pollinators.